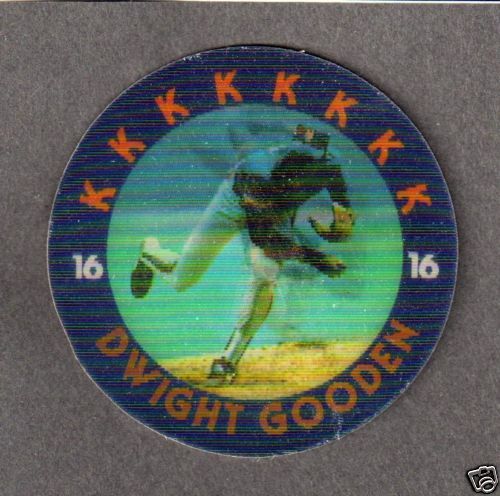 Dwight Gooden 2 1/4 inch diameter lenticular Magic Motion disc produced by Sportflics in 1986. Back is blank. ONLY ONE AVAILABLE FOR SALE.